Your vacation to Florida wouldn't be complete without the Key West/Florida Keys Tour Package that includes three nights' lodging at your choice hotel and the Southernmost Food Tasting & Cultural Walking Tour! 3 Nights' Lodging in your choice of over 19 hotels. 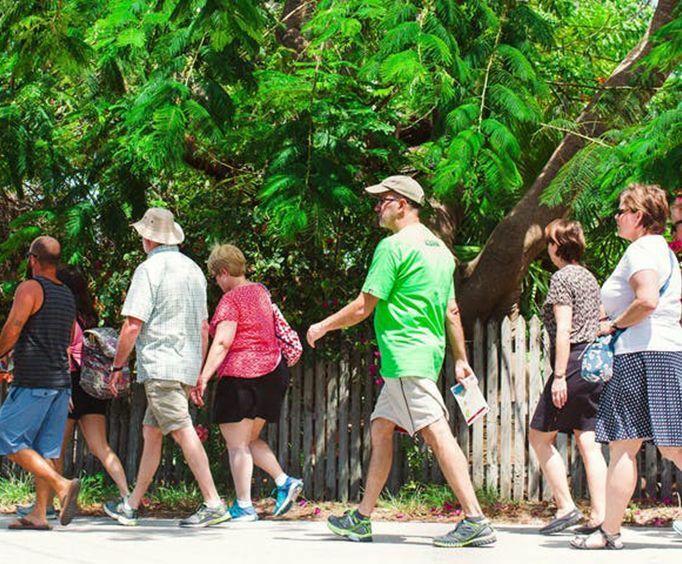 On the Southernmost Food Tasting and Culture Walking Tour, guests will be able to savor the flavors of the city while learning all about the surrounding area. With 1.5 miles of easy walking over this 3.5 hour excursion, guests can stretch their legs and take to the sidewalks for a relaxing stroll. The tour also includes more than five different food samples at local hot spots. Whether you are wanting resort-style amenities or a simple, quaint stay at a hotel you can take your pick of over 12 relaxing hotels for just the getaway you were looking for. Book the Key West/Florida Keys Tour Package for you and your loved one for a romantic vacation unlike any other.